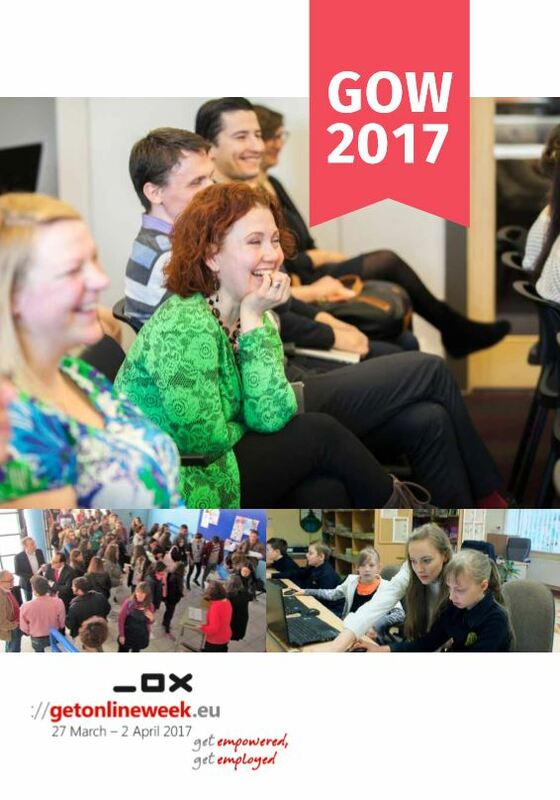 Get Online Week 2017 brought organisations across Europe together to support citizens to be better able to protect themselves online, to understand more about doing government and financial transactions online and to be empowered to create new career opportunities. In total, 2,849 organisations in 25 countries engaged over 92,460 participants in 3,506 events and reached millions. The GOW17 campaign challenged Europeans to learn, participate, share and create through thousands of events and activities supporting the digital transformation and its effects. GOW17_ReportIn 2017 the campaign highlighted the benefits of digital transformation, but also the importance of partnership in helping people and organisations to develop skills and a mindset to adapt to and take advantage of the constant changes.